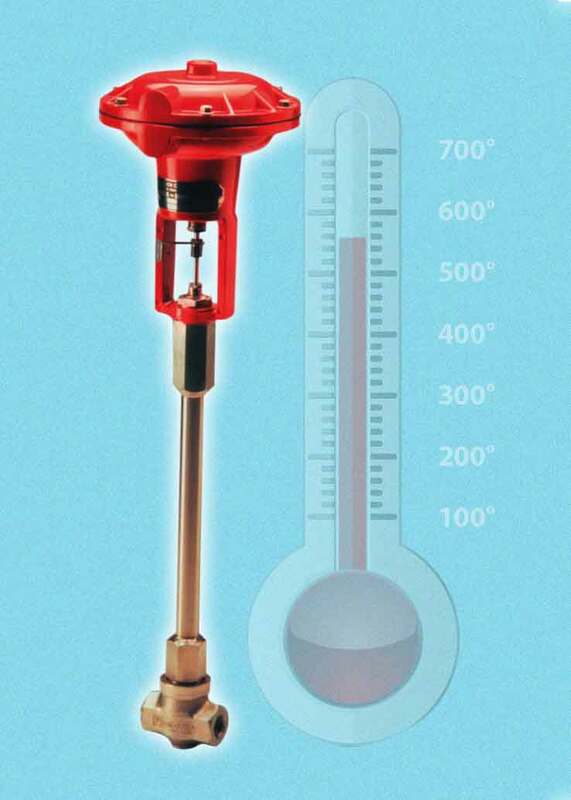 When precise, reliable flow control is required in challenging high temperature applications, for example in the chemical, oil and gas and pharmaceutical industries, Badger Meter control valves are an ideal choice. Available from liquids handling specialists PUMP ENGINEERING, the extensive Badger range includes models such as the RC200, available with the option of an extended bonnet for protection against elevated temperatures and ideal for pilot plants, or other similar smaller scale operations. Available in AISI stainless steel with stainless steel actuator the RC 200 valves with cooling fin bonnets are designed for handling liquids and gases at operating temperatures up to 560°C with PTFE packing and higher temperatures with Grafoil packing. The valves are supplied in a globe or angle pattern in ¼” – 1” sizes. Its compact size and 33 different trim sizes, Cv range from 0.0000018 to 2.5 and rangeability from 50:1 to 15:1, makes it an ideal choice for precise flow applications in pilot plant or other similar smaller scale operations. For example; additive injection, reactor feed for synthesis and catalysts and sampling in R&D applications along with pressure and pH control. A good example of their suitability to high temperature situations is where they have been used for backpressure control in high-throughput visbreaking (cracking process) for petrochemical feedstocks. This is a particularly challenging application where temperatures reach 450ºC and the flow rates of the gases produced are very low due to the small sample size required by the operator using 100 ml reactors. Badger RC200 valves have the important characteristics to be able to control high backpressures at very low flow rates due to their extremely low Cv values. This, combined with their high temperature capability, specialist packings for low hydrogen leak rate and ultra-low-dead-volume makes them ideally for use in high throughput testing systems. The RC200 valve is supplied with a pneumatic actuator, air-to-open (ATO) or air-to-close (ATC) in die cast aluminium, with 316L stainless steel as an option. A wide range of positioners is available and electric actuators can also be supplied if air is not available. Other possible applications for the valves will occur in snack flavouring, petroleum refining, chemical processing, manufacture of synthetic fuels and lubricants. Riverside Estate, Littlehampton, West Sussex, BN17 5DF, UK.